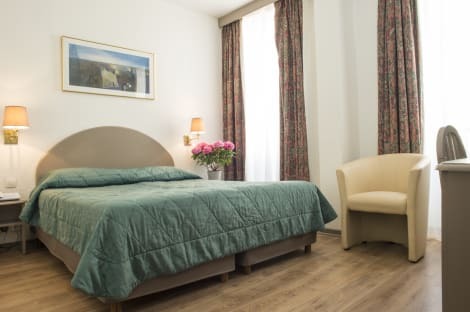 Hôtel Baudin is located in Paris, 600 metres from Opéra Bastille and 1 km from Gare de Lyon Train Station. It provides a 24-hour reception desk and luggage storage. Offering free WiFi access, each room here will provide you with a TV an a private bathroom with a hairdryer. The hotel is 1.5 km from AccorHotels Arena and Paris - Charles de Gaulle Airport is 21 km away. The modern Hotel Royal Bastille is located in central Paris, on the famous Bastille square and a 10-minute walk from the Seine River. Its renovated interior features a cosy dining room and free wifi. The smartly decorated rooms include flat-screen TVs, mini-bars, and bathrooms with hairdryers. Located in the 11th district in Paris, this hotel offers contemporary guest rooms and it features a tearoom and a 24-hour reception with a tour desk. Located in a building with no lift, all of the guest rooms are equipped with a flat-screen TV with satellite channels. Each room has a private bathroom at Camelia Prestige - Place de la Nation. Breakfast is served every morning in the dining room at hotel Camelia Prestige. Nation Metro Station is just 50 metres from the hotel, and provides access to the Louvre Museum. The famous Père-Lachaise Cemetery is a 15-minute walk away.